In June, Mayor Bill de Blasio announced a plan to create 100,000 new jobs in New York City over ten years by investing in high-wage industries where there is potential to grow with a boost from city government. The jobs will all pay at least $50,000 per year, he promised. The jobs plan, first outlined as the signature proposal of de Blasio’s 2017 State of the City speech, builds on other jobs programs, such Career Pathways, a workforce development initiative announced in 2014 intended to fill gaps in areas like training that were keeping people from attaining positions or entering higher wage roles. But when the jobs program was announced, advocates and service providers quickly pointed out that Career Pathways has not been funded at recommended levels. But with 2017 nearing an end, the city appears to be significantly behind schedule on the program. 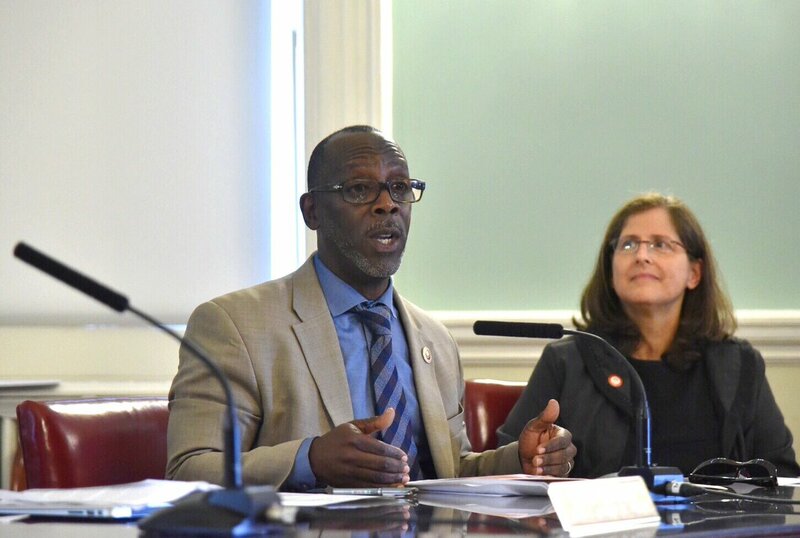 And on Monday, the City Council’s Committees on Small Business and Civil Service & Labor held a joint oversight hearing on Career Pathways and its progress. A glaring question for Career Pathways is funding. Of the projected $100 million annually by 2020 in career training for middle-skill jobs, about half of the proposed amount has been allocated in the city budget, now about halfway between the 2014 introduction and 2020. Significantly, of the $60 million projected annual investment in bridge programs for low-skill workers, only $6.4 million has been allocated, according to the Center for an Urban Future, a think tank focused on the city’s economy. Barbara Chang, the executive director of the Mayor’s Office of Workforce Development, testified Monday on behalf of the administration. When Council Member Daneek Miller, chair of the labor committee, questioned Chang on the funding deficiency in bridge programs, which combine industry-specific training with more basic educational training, she offered a slightly more optimistic number: $7.5 million out of the $60 million. Citing the success of Seattle’s bridge program, Chang noted that New York presents numerous challenges not present in other cities, making efficient use of funds more difficult to ascertain. For some advocates, the administration’s process is not nearly fast enough. 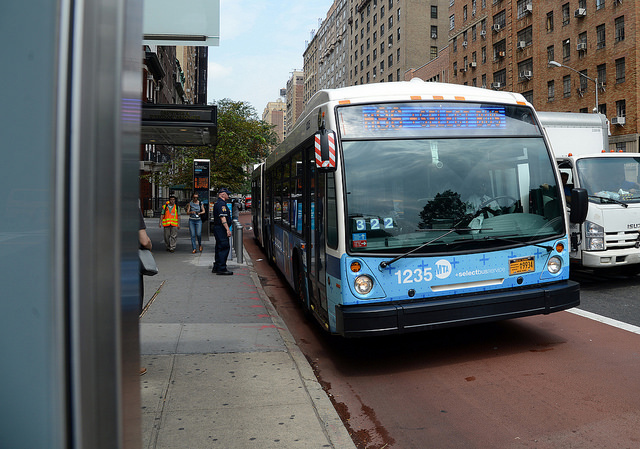 Kevin Stump, vice president of policy at JobsFirstNYC, called for an immediate new investment of $20 million in bridge programming in the city’s next budget, and for another $33.6 million the year after to bring the total annual investment to target levels. Previous workforce development initiatives had been criticized for attempting to simply shoehorn people into jobs without care for fit; the de Blasio administration’s aim for its program was to prepare workers for and place them in high demand sectors that, combined with the education and training programs contained within Career Pathways, would topple barriers to employment and focus on the human capital aspect of economic development. The task force identified six high demand sectors: healthcare, technology, industrial/ manufacturing, and construction, retail, and food service. The first four are the focus of investment in training, while the latter two are the focus of investment in improving the quality of low-wage sectors. The intention is to advance career progress for workers rather than simply place them into a job. But an unintended consequence of this focus has been neglect of small businesses. Gonzalez-Rivera’s testimony further noted that small business job growth has, since 2001, outpaced corporate (500 employees or more) job growth nearly 3-to-1; but small businesses often “report that they are encountering challenges in recruiting and retaining workers,” which can be a death knell for a business aiming to stay in New York. CUF also notes that the program is not sufficiently helping immigrants, a group that comprises nearly half of the city’s workforce but have disproportionately low education levels. The city, on the other hand, said that the bridge program has been designed with immigrants in mind. “These programs allow job-seekers with limited educational attainment and low English proficiency to make progress toward occupational goals as they build their basic skills,” Chang said. The Career Pathways program is included in the mayor’s jobs plan, New York Works. While it is not touted as part of the administration’s newer initiatives to provoke job creation, Career Pathways is named as a program already expanding employment on the way to de Blasio’s 100,000 marker. Council Member Robert Cornegy Jr., chair of the small business committee and a candidate to be the next Council speaker, was scheduled to be at the hearing, but couldn’t attend due to a family medical emergency. In a statement, Cornegy emphasized the need for the program to focus on small business growth rather than just job placement. This month, Muslim Americans across the country and in New York City will be celebrating Eid al-Adha. As our fellow community members observe this important religious holiday amidst a rising trend of Islamophobia, we must be mindful of their safety. Let us continue to set an example for strengthening our community and promoting open-mindedness. Recently, Muslims have been the target of hate speech and violence in their homes, schools, neighborhoods, and places of worship. These verbal and physical attacks represent a broader trend of discrimination against Muslims. According to the Bridge Initiative at Georgetown University, anti-Islam rhetoric in the United States has increased significantly during the current presidential election cycle. In fact, anti-Muslim attacks surged in the days and weeks after Donald Trump made anti-Muslim statements, suggested instituting a database to track Muslim Americans, and called for shutting down mosques. In recent months, organized, sometimes armed, protests against mosques have increased, as well as the targeting of Muslims for bullying or hate crimes. This year’s presidential election has seen the candidate of a major political party not only endorse bigoted views, but also encourage the spread of these attitudes among his followers. Donald Trump’s message of bigotry has created a hostile climate against Muslims, immigrants, African Americans, Latinos, and women, dividing and weakening our communities. This marked increase in Islamophobia in the United States means that every day Muslims are unable to go about their daily lives without worrying about their personal safety. As we have seen with Imam Alauddin Akonjee and most recently with Nazma Khanam, Muslims are frequent targets of hate and violence. As a Latina legislator, as an African-American Muslim, we will not let any hateful rhetoric go unchecked and unchallenged. We have and will continue to stand up and speak out. When an individual’s ability to publicly practice his or her faith is threatened, all of our liberties are at stake. We need to protect the freedom to practice faiths of all kinds and to educate others about diversity. That’s why the City added two Muslim holy days to the public school calendar in 2015, to ensure that all Muslim-American students can celebrate holidays together with friends and family. Our fellow City Council members have also been very vocal about protecting the rights of Muslims in New York to practice their faith in peace and safety. Just last December, we helped organize a large interfaith rally on the steps of City Hall in coordination with other elected officials and faith leaders to denounce Donald Trump’s anti-Muslim and anti-immigrant remarks. Despite challenges, our city will stand strong against these messages meant to divide us. Muslims continue to play important roles in our communities, contributing to the multicultural fabric of our city and our nation. Muslims are important figures in New York City arts, sciences, and businesses, as well as in public service – like Congressmen Keith Ellison and Andre Carson. Muslims are artists, teachers, doctors; mothers, fathers, and cherished members of their neighborhoods. Institutionalizing Islamophobia only causes our communities to live in fear. This month, in the spirit of Eid, we must reject bigotry and collectively work together to spread awareness and hope. We have a responsibility to denounce discrimination and violence and to ensure that all communities can feel safe and respected in New York City. That is why, this Eid, we ask everyone in our broader community to do what they can to spread kindness instead of hatred, understanding instead of suspicion, and acceptance instead of close-mindedness. Traveling across this city, whether to Bay Ridge or Midland Beach or Astoria, to connect with New Yorkers of all backgrounds and faiths has always been a highlight of serving in elected office. All of us are part of the New York City community, and we look forward to celebrating Eid together. New York City is home to one of the most vibrant Muslim communities in the country. In order to continue preserving the values that make this city so special, we need to make sure that we are listening to the needs of Muslim-American New Yorkers. Islamophobia has no place in New York City. Instead of embracing hateful rhetoric, we should be lifting up Muslim voices and sharing the stories of Muslim-Americans. New Yorkers have always been stronger together. Together, we can work to protect and promote diversity and defeat Islamophobia. Melissa Mark-Viverito is the Speaker of the City Council and Daneek Miller represents parts of Queens and is the only African-American Muslim City Council Member. On Twitter @MMViverito and @IDaneekMiller. The fact that several Council members took time to explain opposition to the bill during the vote gave a rare semblance of debate to what is typically an atmosphere of near or full unanimity. Even among the dissenters, reasons varied, though most called the bill government overreach into the private sector. For the overwhelming majority who voted in favor of the bill, the rationale is that the grocery industry is in the midst of an especially volatile period that has had severe consequences for many working class New Yorkers and their families. "I believe this is a well-intentioned effort and I have great respect for the bill's sponsor," Council Member Dan Garodnick said Wednesday, leading to his "no" vote, and referring to Council Member Daneek Miller. "But with this bill we are interjecting local government into private enterprise in a way that we should not be doing. We are going too far." 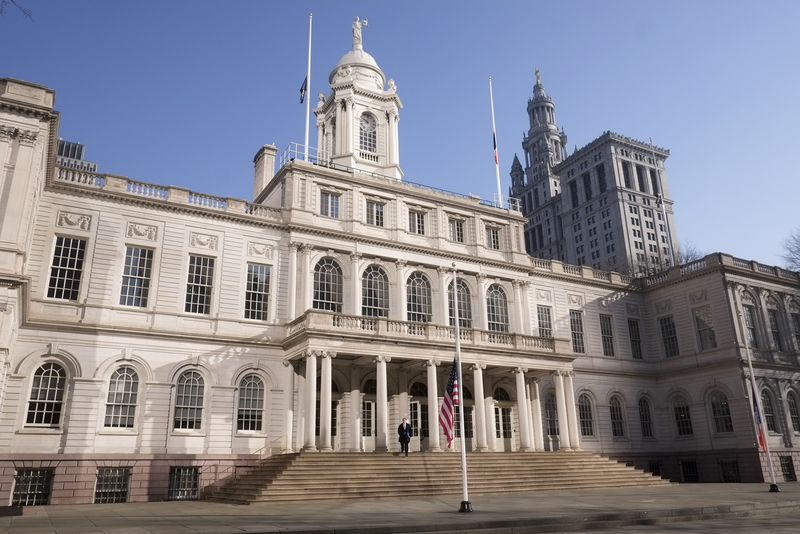 Council members supporting the bill, led by Miller, explained and defended the bill as necessary and pointed to the fact that the city has taken such measures before, namely to protect building service workers. After defending the bill on the Council floor Tuesday, Council Member Brad Lander took to Twitter Wednesday morning to respond to criticism of the GWRA by grocery store owners in a Crain's New York Business article. Lander wrote, "We have the same modest "worker retention" law in place for building service workers, and no business collapses have been reported." 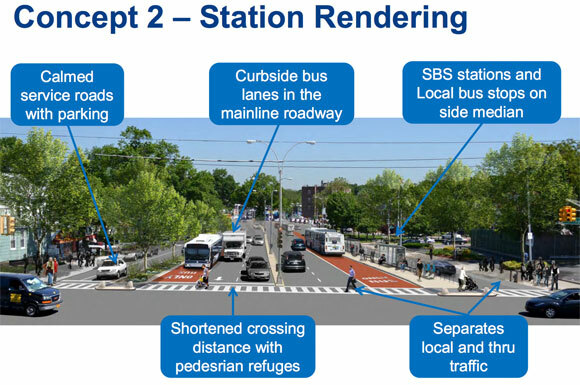 During a press conference before the vote, Council Speaker Melissa Mark-Viverito pointed to that precedent and said that the Council may be looking at other industries as well. "There is a similar bill that we passed several years ago when it comes to service workers," she said. "And we wanted to move this very quickly and that doesn't mean we're not looking at other industries as well." 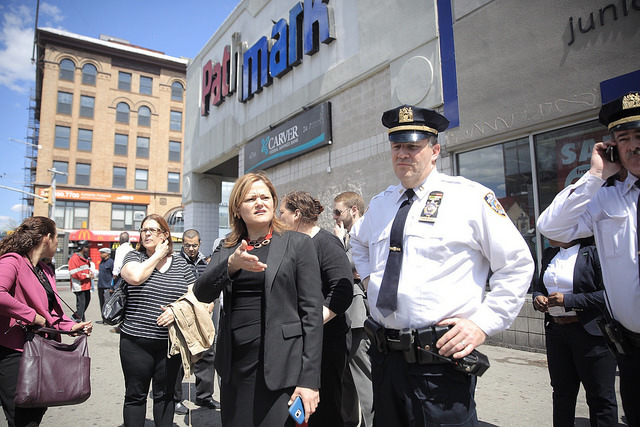 "We needed to move this very quickly because of the recent closures and bankruptcy and what some of these workers were going through," Mark-Viverito continued, pointing to examples in her northern Manhattan district. She added that just because this grocery store bill was being passed, "doesn't mean that we're not looking at other industries, 'cause we are." On the Council floor, Garodnick said that all workers should have rights, including the right to unionize, and that the Council should support efforts to unionize and fight for fair wages and benefits. He went on, though, to analyze the bill's provisions, asking rhetorically, "Why...would we protect workers only for 90 days? Why not six months? Or a year? Or more? Why are we limiting ourselves to this industry? Why not protect the workers in our local pizza shop? Or even the financial services industry? If you buy a supermarket with 100 workers and you believe that you can make it survive and make a profit, and you only need 90 workers, we should let you do that, without interference." Joining Garodnick in casting "no" votes were fellow Democratic Council Members David Greenfield, Rafael Espinal, James Vacca, and Antonio Reynoso; as well as Republicans Joseph Borelli and Steven Matteo. The Council's other Republican member, Eric Ulrich, was a co-sponsor of the bill and voted in favor. Reynoso said that the bill did little for people in his district, where the "supermarkets" are local bodegas, often owned by immigrants struggling to get by. While Garodnick's 'overreach' critiques were echoed by others who voted against the bill - and even acknowledged by some who voted for it - 40 Council members supported the bill. 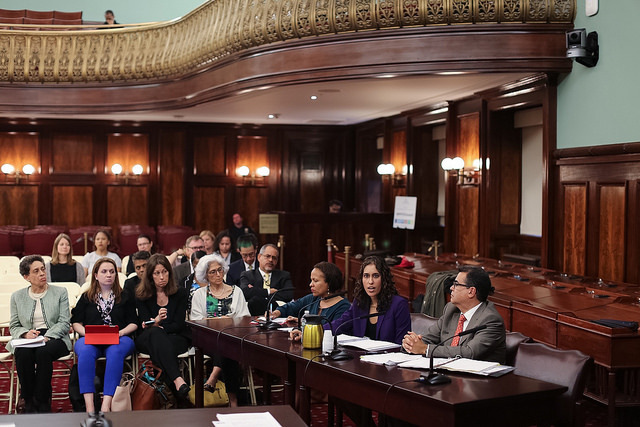 Council members from Queens, Manhattan, and the Bronx spoke of the negative consequences of losing supermarkets in their districts or from the mass layoffs that disrupted communities after a supermarket sale. Council Member Danny Dromm, of Queens, said, "I have seen what happens when these small supermarkets are closed...we had this situation in Jackson Heights about two years ago when one day, two weeks before Christmas, employees arrived to find out they had been locked out of the door, and when the new owner came in and took over the supermarket, he would not rehire the workers, even though they had not done anything wrong. I totally agree with this legislation, nothing in this law says that the workers have to stay on beyond the 90 days." At the press conference before the full Council meeting, Mark-Viverito and Miller positioned the bill as an important step in the Council's ongoing work to protect workers. 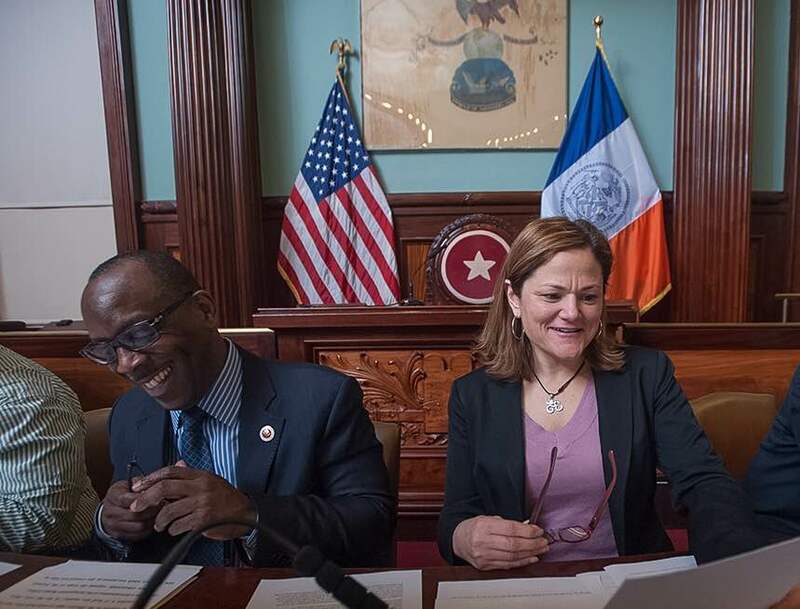 "This City Council is committed to protecting the rights and dignity of all workers in our city," Mark-Viverito said, "and with this legislation, we're taking another step toward that goal. Grocery store employees provide a valuable service to their community - we still have too many food deserts across the city of New York, my community is one of them. And at a minimum, these workers should have an opportunity to prove their worth before losing their jobs to changes in ownership." The Council has taken an aggressive stance in regulating workplace and workforce issues, including expanding paid sick leave and moving through legislation to protect freelancers. In outlining the GWRA, Council Member Miller said, "Now keep in mind these are not small bodegas or smaller stores, these are at least 10,000 feet of sales, not storage, not parking. So this is significant space and we need to protect workers, but more importantly, protect communities." "The term "eligible grocery employee" means any person employed by a grocery establishment subject to a change in control, and who has been employed by such establishment on a full-time or a part-time basis for a period of at least six months prior to the effective date of the change in control; provided that such term shall not include persons who are managerial, supervisory or confidential employees or persons who on average regularly worked fewer than eight hours per week during such period." "The term "grocery establishment" means any retail store in the city of New York in which the sale of food for off-site consumption comprises fifty percent or more of store sales and that exceeds 10,000 square feet in size, exclusive of any storage space, loading dock, food preparation space or eating area designated for the consumption of prepared food." Mayor Bill de Blasio is expected to sign the bill at an upcoming ceremony. Initially focused on wage protection and health benefits, Council members and advocates are also looking at legislation to expand collective bargaining rights to certain groups of workers in the “gig” economy. The on-demand economy of such workers has mushroomed in the city with Uber and Lyft drivers, Handy.com cleaners, and the more traditional writers, graphic designers, and other artists. These temporary, “for-hire” workers largely perform their various efforts without the benefits of job security, health insurance, pension buy-in, or paid sick leave. Even their wages are regularly not guaranteed. Eight out of ten freelancers have complained of being victims of late payment or non-payment of wages according to reports compiled by the Freelancers Union. With the City Council aggressively tackling workforce issues, Council Member Brad Lander, a Democrat who represents part of Brooklyn, has taken the lead in developing legislation to help people in the gig economy. Lander is working with the New York City-based Freelancers Union to create a legislative framework for wage protection for freelance employees. In September, He appeared at a Brooklyn town hall hosted by the Freelancers Union to launch the #FreelanceIsntFree campaign, seeking to raise awareness and push for legislation. “It has very real dark sides to it,” Lander said in a recent phone interview with Gotham Gazette, referring to freelancing and the company payment cycles that cause hardships for freelancers. “The rent is due and you still gotta put groceries on the table,” he said. Lander believes that the best possible scenario would be a “cutting edge,” enforceable administrative solution, similar to protections guaranteed by the state Department of Labor and the Attorney General. Currently, the only legal recourse freelancers have is civil court, an expensive and time-consuming option. Lander wants to introduce a bill within the next two months. Inevitably, workforce issues revolve in some important way around organized labor. On-demand gig workers are by their very nature unorganized. That’s where the Freelancers Union stepped in and now the City Council is moving toward creating new worker protections. Eyeing Seattle, where a City Council member is pushing a bill to allow taxi drivers, for-hire drivers, and those from ride-sharing companies like Uber and Lyft to unionize and exercise collective bargaining, Lander is considering a similar path in New York. Uber’s success in the city, and its disruption of the long-standing taxi/black car marketplace, has garnered the for-hire industry new attention. The ability for drivers, who are seen as independent contractors, to unionize would change the game for thousands, and the company, of course. Uber has added more than 20,000 cars to their service in the last three years and also handled more than 100,000 rides each day in July, four times its record from last year. 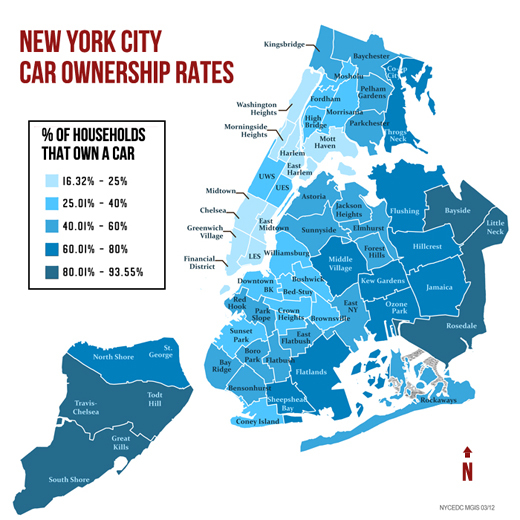 During a summer face-off between city lawmakers and Uber, the Mayor de Blasio and the City Council brought about a temporary detente by landing on a four-month study of the effects of ride-sharing companies like Uber (and no cap on the growth of the industry). The results of that study are due soon and will likely play an important role in the future of ride-sharing in the city. An Uber representative declined to comment for this story. The city’s efforts to create space for independent contractors to unionize may run up against federal law. The National Labor Relations Act of 1935 protects the right of employees to collectively bargain with their employers. It lays down specific definitions for employees and employers which could preempt local jurisdictions from taking action since independent contractors do not qualify under the law’s criteria. A class-action lawsuit brought by three drivers in California against Uber highlights this basic issue. The drivers are arguing for benefits as employees of the company while Uber maintains they are independent contractors who are not eligible for these benefits, and therefore should not have received class-action status. “Seattle’s leading the way,” said Council Member Lander. The proposed legislation in Seattle would create a precedent and likely face numerous legal challenges. Lander recognizes this fact. Even though the NLRA preempts the City Council from legislating, he believes there is room for cities to take action for workers not covered under the federal legislation. Currently there is no draft legislation but Lander said any proposal would attempt to protect workers across the on-demand economy and not just specific companies. The Council recently took controversial action to help car wash workers unionize, but that is being challenged in court. 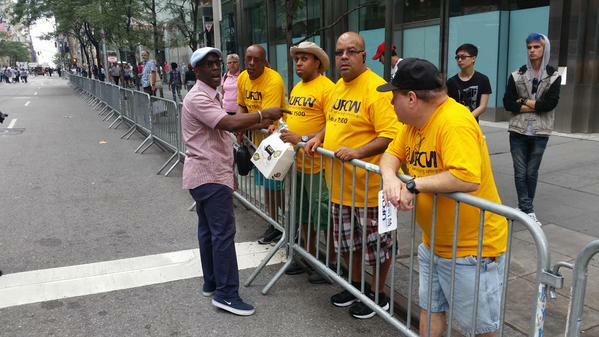 Council Member I. Daneek Miller is firmly in support of any proposal that would help on-demand drivers organize. As a former labor union leader, Miller’s perspective on the issue is decidedly pro-labor, and his position as chair of the Council's civil service and labor committee puts him at the front lines in addressing it. He said the “irony” of the situation is that the shared, gig economy is contributing to its own demise and disempowerment -- a younger generation with few responsibilities finds flexibility and mobility attractive and then later on when people want security, they find themselves left out in the cold. For the system to work, he said, there need to be checks and balances in the form of collective bargaining and the right to organize. Since Mayor Bill de Blasio and Council Speaker Melissa Mark-Viverito both came to power, there has been one big picture aim: to address income and other forms of inequality. Headline-making moves such as an expansion of paid sick leave came within a few months. Less flashy yet crucial bills followed. In August 2014, the Council passed the mayor's proposal to supplement the wages of school bus drivers employed by private contractors. De Blasio and Mark-Viverito have both been called anti-business, and there have been claims of overreach by the mayor and the Council. Business leaders are often loathe to see the hand of government reach further into industry. 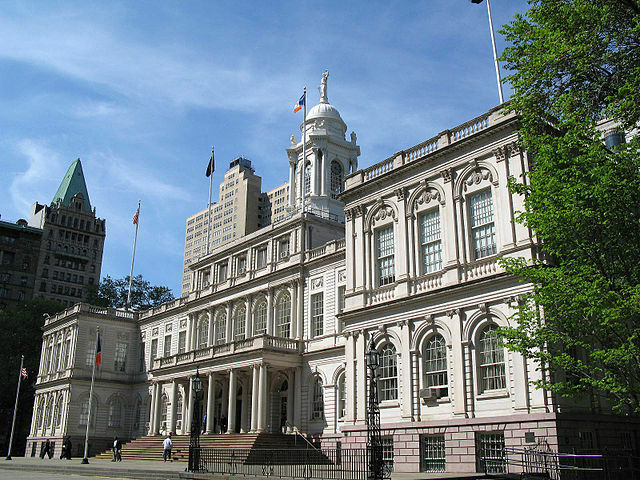 In recent months, the Council's formidable progressive caucus has done just that, pushing bills that address large-scale and nitty gritty workplace issues, including others in specific industries. The Council recently heard a bill aimed at regulating personnel decision in the grocery industry. Council Member Brad Lander, a Brooklyn Democrat, has been closely involved. He is currently working with the Freelancers Union to develop legislation that would protect freelancers, and by extension other workers in the on-demand "gig" economy, from wage theft. Modelled on similar protections provided by the state Department of Labor and the Attorney General, this "administrative solution with an enforcement option" would protect the likes of writers, graphic designers, Uber drivers, and Handy.com cleaners from being denied their wages and having to go to court to redress grievances. At the city level, Lander called the Council's efforts a "thumb on the scale" to help workers have paying jobs. Of course, Lander expects this rebalancing of the relationship between employers and workers to be debated and contested. But he insists that the Council wants to be responsible in implementing changes rather than run roughshod over industry and business interests. For instance, in April this year, the Council passed a bill co-sponsored by Lander that bans employers from discriminating in hiring decisions on the basis of credit checks. But the Council did make accommodations, Lander said, after consulting with business owners and advocates. From a business perspective, however, the Council's efforts have uncomfortable connotations of government intervention in private enterprise. Late last month, two bills were discussed at a hearing of the Council's Committee on Civil Rights but received little attention. The bills aim at prohibiting employment discrimination based on a person's status as a caregiver and at clarifying reasonable accommodations that businesses could make for applicants with disabilities. At the hearing, President and CEO of Partnership for New York City Kathryn Wylde provided written testimony opposing the bills. She stated that the Council was proposing more mandates on employers, driven by special interest advocacy groups that argue based on anecdotal evidence that discrimination and mistreatment of employees and applicants is widespread. "There is no data that justifies new and costly laws and regulations that make it even more difficult to create jobs and grow a business in New York City," Wylde wrote. She also asserted that the bills would drain resources from businesses and make the city less competitive, and that additional Council mandates would accelerate the loss of middle class jobs (she said the city lost 100,000 middle class jobs in the last five years). Data consistently shows that inequality has only risen in the city over the last many years. A report last year by The Graduate Center of the City University of New York showed that there was a significant uptick in the concentration of wealth among the richest 20 percent of New Yorkers between 1990 and 2010. According to the study, the median income of the upper one percent of all household income earned in New York City jumped from $452,000 in 1990 to $717,000 in 2010 while the lower 20 percent of New York City households' earned median income rose from $13,000 in 1990 to $14,000 in 2010. James Parrott, deputy director and chief economist at the Fiscal Policy Institute, approaches any analysis of labor markets from a historical perspective. He said changes in the labor market in recent years have been unproductive and harmful to workers and to the economy. So there is definitely a need for regulation, he believes. Ideally, he said, regulation would be at the national level and enforced by federal compliance officials. But, with federal action being hampered by an inactive Congress, it has fallen to state and local governments. He called the Council's bent in addressing these issues "reasonable and appropriate." "Businesses tend to oppose any regulation at all. But a lot of history and analysis shows us that informed regulation is good for businesses," Parrott said, insisting that it keeps the competition honest as well. In particular, he referenced the Grocery Worker Retention Act (GWRA), introduced by Council Member I. Daneek Miller. Miller, a former labor union leader, is now chair of the Council's civil service and labor committee. The bill would require large grocery chains to at least temporarily retain the workforce when an ownership change occurs, and then handle any personnel moves on an individual basis after three months. Parrott testified years ago when a similar bill (Local Law 39 from 2002) dealing with building service workers was passed. "I don't see how one could oppose doing that in concept," he said, referring to the opposition from industry representatives who argued feverishly against the GWRA at a hearing two weeks ago. 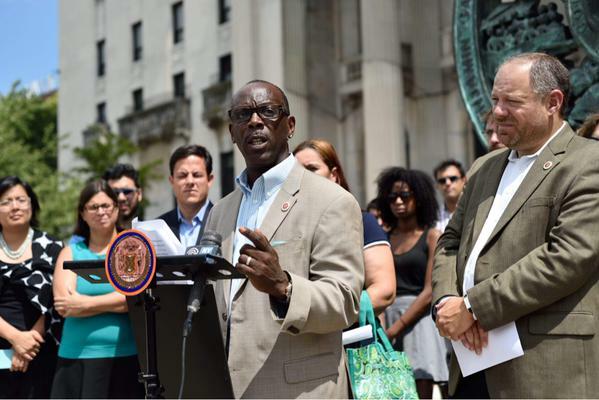 For Council Member Miller, a Queens Democrat, the bill is just another of many measures to remedy an economic imbalance created by three successive Bloomberg terms. "To a certain degree, we have come through 12 years of an administration that for all intents and purposes undermined the value of workers," Miller told Gotham Gazette. His bill mandates personnel practice and grants workers legal remedies against unfair termination. It would help both union and non-union workers, he says, and create transparency and protect employees in an industry with a history of exploitation. "Organized or unorganized, in order for the middle class to thrive, we need for people to have a voice," Miller said. "Without that, we see the wage disparity and wage suppression that we've seen in the last decade or two." As expected, industry officials criticized the proposed bill for what they see as an overreaching mandate and even questioned the legal implications of the Council's intervention. But Miller said these objections are not supported by certifiable data and that he is confident the bill will be voted out of the labor committee and brought to a full Council vote. "My personal preference is that we can educate and we don't have to legislate," he said. Most of the workforce measures have received wide support from Council members and the mayor. Some have even come from de Blasio or Mark-Viverito themselves. Last year, de Blasio issued an executive order that expanded the city's living wage law to thousands of individuals. Mark-Viverito successfully sponsored a bill that passed in June this year requiring car wash businesses to operate under licenses and enforcing stronger safeguards for employees. Another employment bill goes into effect by the end of October: the Fair Chance Act prohibits employers from discriminating against applicants based on their arrest record or criminal convictions. But wide support does not mean unanimous. There are concerns even within the Council about the scope of legislation. Council minority leader Steve Matteo, a Republican from Staten Island, shares his colleagues' interest in improving working conditions but worries about possible harmful unintended consequences. Matteo said he is a "firm believer" in the free market's ability to self-correct and adapt whether in response to consumer demands for healthier food or safer products, or to compete for better employees with higher pay, more benefits, and a better work environment. "Over-reaching government mandates, on the other hand, as many economic studies have shown, can be financially devastating to small businesses and lead to job cuts and fewer new hires," he said. On the other hand, some question how easily workers can adapt to the free market. "Businesses have a better ability to shift their economic resources to adapt to changing economic conditions, more so than workers, especially low-income workers who lack access to education, child care, the basic necessities of life," said Christian Gonzalez-Rivera, research associate at the Center for an Urban Future, who believes that the balance of resources has tilted towards businesses. Gonzalez-Rivera said more people than ever before are working low-wage jobs in the city; even those working full-time are not able to make ends meet and are being treated as if they are expendable. Gonzalez-Rivera praised the City's increased support for worker cooperatives. The Council announced in its budget this year that it will invest an additional $2.1 million in its Worker Cooperative Business Development Initiative and create 22 new worker cooperatives. "Government does need to step in and provide protection," he said. It's a sentiment that Council Member Lander echoes: "Looking to give people a fair shot is part of our job," he said. Introduced by Council Member I. Daneek Miller, chair of the labor committee, the act (Intro. 632) would require grocery stores that undergo a change in ownership to retain employees for a 90-day period and to review their performance on an individual basis thereafter, keeping employed those who've performed satisfactorily. In case of employee cutbacks, those with seniority or experience would be required to be retained. The act also affords these employees legal recourse in case any conditions are violated. Although the bill drafting process began over a year ago, said Council Member Miller, a former labor leader himself, now may be the time to maximize the benefits envisioned. In July, supermarket giant A&P declared bankruptcy and will be selling dozens of its stores, which would stand to have an effect across the five boroughs. Many locations will be up for auction, with thousands of employees facing job insecurity. The unions that altogether represent roughly 50,000 grocery workers in New York City -- around one-fourth of the city's retail workforce -- are heavily in favor of the bill. The law is beneficial to workers, owners, and customers, said David Mertz, New York City Director for the Retail, Wholesale and Department Store Union. "A worker retention policy such as in this legislation protects working families, provides a stable and experiences workforce for owners and thus maintains a safe and reliable service to customers," he said at Friday's hearing. Others who testified in the law's favor included union representatives, non-profit health and safety groups, and individual grocery store employees. Representatives of the retail and grocery industry are displeased with the bill, viewing it as an overreach by the Council. Employers see the liberal legislative body as trying to impose excessive regulation of employment decisions by private entities. Jay Peltz, general counsel and vice president of government relations for the Food Industry Alliance of New York State, questioned the legal authority of the City in passing the bill in so far as it aims to maintain health and safety standards at stores. Peltz was insistent Friday that the bill would do more harm than good, disincentivizing investors from purchasing supermarkets, which means "the neighborhood around [a store] would be deprived of a better store with wider assortments, healthier choices, and more jobs. This would hurt the health and well-being of an area, not help it." The hearing saw a thorough back-and-forth between industry representatives and Council Members Ben Kallos and Daniel Dromm, who refused to accept the opposing arguments being made. Dromm personally recounted the predatory practices of a supermarket owner in his district and repeatedly refuted and dismissed counter-arguments. The bill is not the first of its kind. Local Law 39 from 2002 gave protections to building service workers in much the same vein as this law would do for grocery store employees. A more parallel example is a law passed statewide in California earlier this year that even withstood a challenge at the State Supreme Court. The Council labor committee also quickly discussed and unanimously approved Intro. 903 which would provide health insurance coverage to the family members of deceased employees of the Department of Sanitation. The law was requested by Mayor de Blasio in response to the on-duty death of a sergeant from the Department of Sanitation in July this year. The Grocery Worker Retention Act currently has 20 sponsors in the 51-member Council. After Friday's hearing it could be tweaked, or not, before being voted on in a subsequent committee hearing before heading to the full Council for approval - if it has enough support.